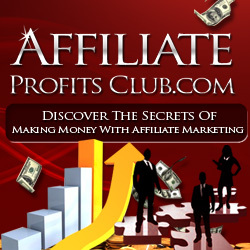 You are here: Home / Make Money Online / How Much Does Affiliate Marketing Cost? Imagine that after a long day at work, your boss offered you a raise. Not just any raise – an extra $5,000 dollars every month, with the chance to set your own hours and spend as much time with your family as you want. What if in exchange, all you needed to do was work an extra four hours a day? Most of us would jump at the chance. Sadly, many people don’t have a choice in this economy and work two or even three jobs to make ends meet. But while most people dream of the chance of getting such a great deal from their boss, a much smaller group of people are willing to do it for themselves. That’s why asking about the costs of affiliate marketing is a tricky exercise, and in some cases, the wrong question to ask. This is a scalable business model, and the amount you get out of it usually has a direct relationship to the resources you put in. Even if you don’t have a lot of money, your time and knowledge can go a long way. In order to map out how much you can spend, you need to think like a businessperson and map out your goals over a longer period of time. For example, many affiliate programs have a recurring payment – paying you as long as your referral is a member of the site. Let’s say that you’re an affiliate for a membership site that pays you $25 a month in commissions, and your goal is to pocket an extra $5,000 monthly. That means you need you’ll need 200 subscribers to reach that target. Instead of thinking about the upfront cost, think about your cost per subscriber. For example, what if it cost you $250 dollars to get a single subscriber? Obviously, services like PPC, SEO, content and video marketing don’t cost anywhere near this much! But even if they did, at $25 a month, you’d have earned it back within a year, and given yourself a stream of income that lasts forever. Once you’ve recouped the initial costs, you’re making pure profit. Luckily you don’t have to wait that long. A more realistic figure is around $2 per subscriber. For about $400 dollars you can easily outsource SEO, articles, and even some advertising in your niche and reach that 200 subscriber a month figure if you spend wisely and have patience. But even if it cost twice that much, it would still be a good investment. After all, your income doesn’t go from zero to $5,000 overnight. There’s a scaling process that gives you a continuous feedback loop of money you can invest into your own business. Apply this principle to membership sites, commissions, or any other affiliate model – you’ll be shocked at how much it means for your mindset – and your results!